Having a 12-year-old that is a voracious reader presents challenges. I want to know what she is reading, but I cannot read everything she reads, at least if I want to get anything else done. So I have to rely on authors that are reliable and recommendations of others. 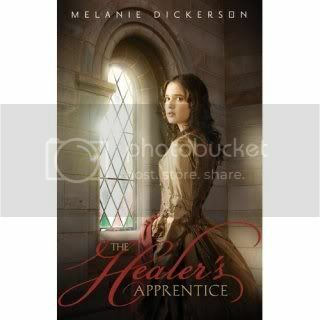 I was pleased to be "introduced" to to Melanie Dickerson and her first novel The Healer's Apprentice by a close friend. I can't wait to read more from this author in the future! This book was provided for review by the author and Zondervan. Always looking for a recommendation on a good book. Cause I got a girl that loves to read. Thanks for the information. Wonderful, I needed a book recommendation and I actually enjoy ready YA!